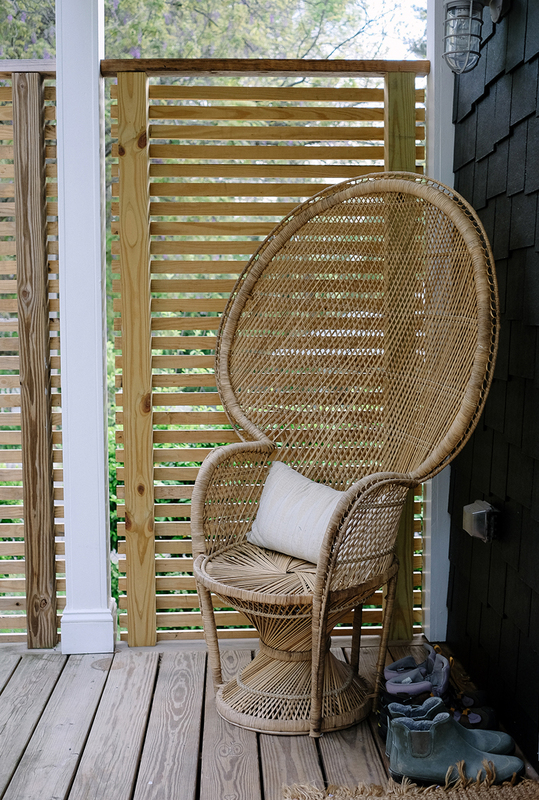 One of our favorite features of our home is our back deck. It is right off the kitchen and makes for great entertaining during the warmer months. 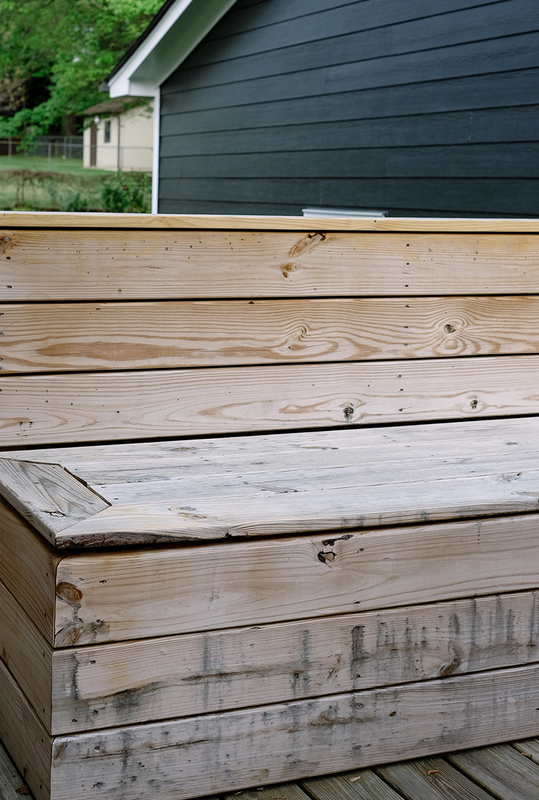 When we moved in we installed a simple privacy fence and put in a bench. Nothing too crazy, but enough that made the space feel more like us. Last year, I never got around to really putting the space together as we wanted. 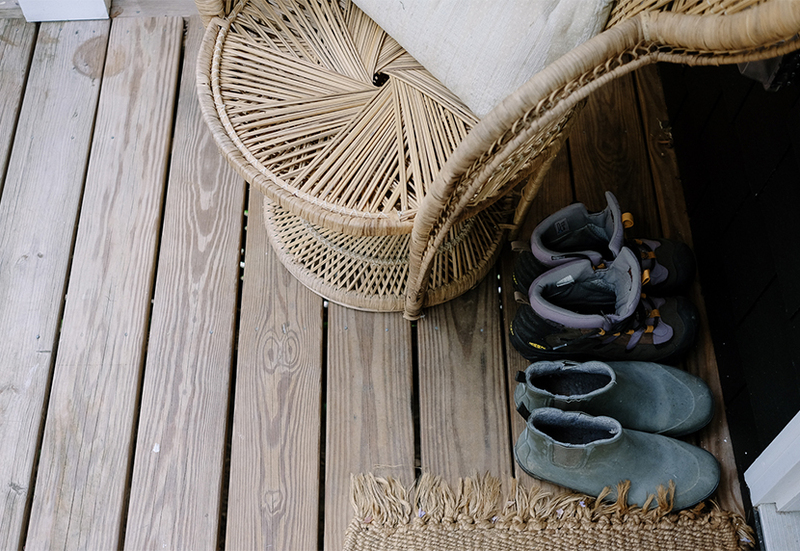 I did some things, but by the time we headed out for our time in northern Michigan there was not much to be said for the space other than an array of succulents covering the deck in pots. After the winter, all of our plants died and it became pretty sad out there. 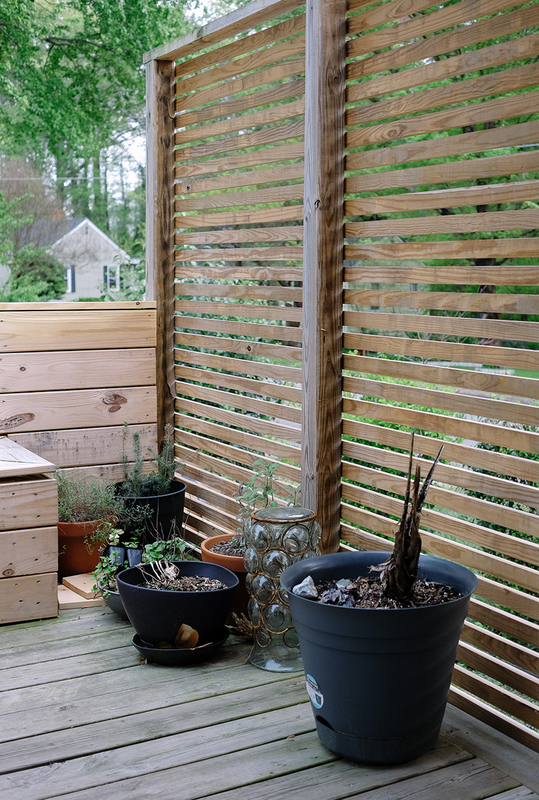 So, when At Home asked us to update an outdoor space, I knew right away this was a good chance to put together our back deck the way I had always wanted. We wanted it to be the perfect place for hanging with friends and neighbors on the warmer days of the year as well as an oasis for Mike and I especially since we aren’t getting out much these days with a little one. Before I show you too much of how bad it is out there and where we are beginning from, I am going to begin with some inspiration. 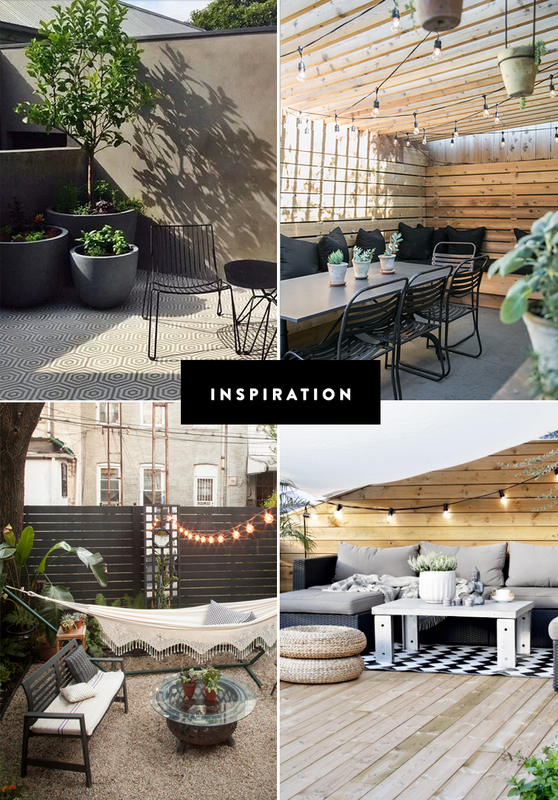 The idea for our patio is pretty simple. I want it to have a natural and neutral palette (surprised? Yeah I didn’t think so 😉 ) with woods, whites, and blacks. Then we will add in lots of pops of greens from plants. I would love to find a balance of bohemian and modern that is happening in all the above spaces. My hope is that this will make it feel lived in and comfortable, but still very modern and clean at the same time. Though I haven’t shopped at At Home before, I am excited to see what we find to outfit the space with this type of style. The porch itself needs a good clean up. The wood needs to be resealed and so on as well which we will most likely do with the decorating in order to make it a completed space. It has been on our list since last spring, but when I got pregnant it kind of fell off the list since Mike was really the only one with energy to make it happen. As for the bench, we plan to clean it and seal it as well. We would love a rug and some cushions to make the space a little more comfortable. This is the saddest garden and plant graveyard I think I can imagine. The winter was rough on plants both inside and out…or maybe I was just a terrible plant parent, either way there is a lot of updating and potting that will be going on here. I am thinking 3 varying sizes of plants here in some interesting pots will do the trick. I found this chair at a Rehab store last spring for $25 and I plan to incorporate it into the final look, but we need a new pillow maybe to liven it up. 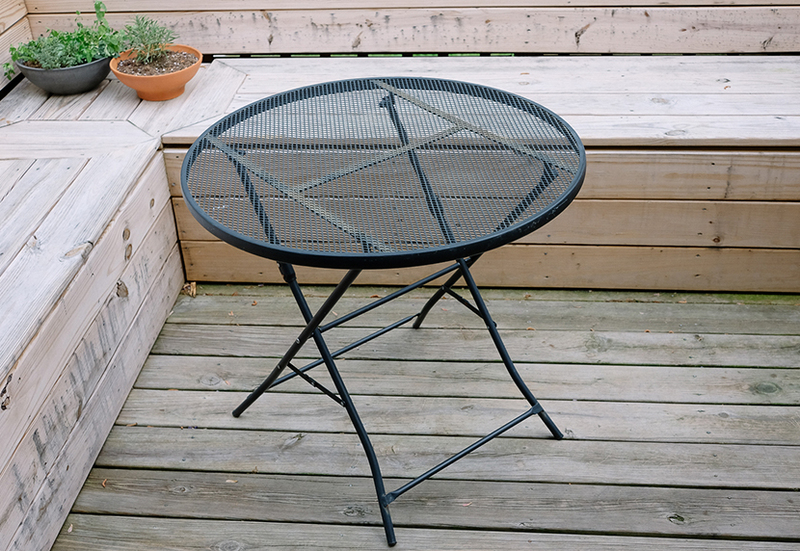 We do a lot of eating on our deck and this table is the makeshift one we have ended up with as other pieces of furniture have found places in our space, but the funny thing is is that we eat out here a lot more than you would think considering how makeshift it seems. I would love to add a good table here or at least create a comfortable area to lounge and eat and enjoy a glass of wine. I am pretty excited to get this space together and to check out what At Home has in their store this weekend. What else do you think we should do with our space? Are you updating any spaces this spring? 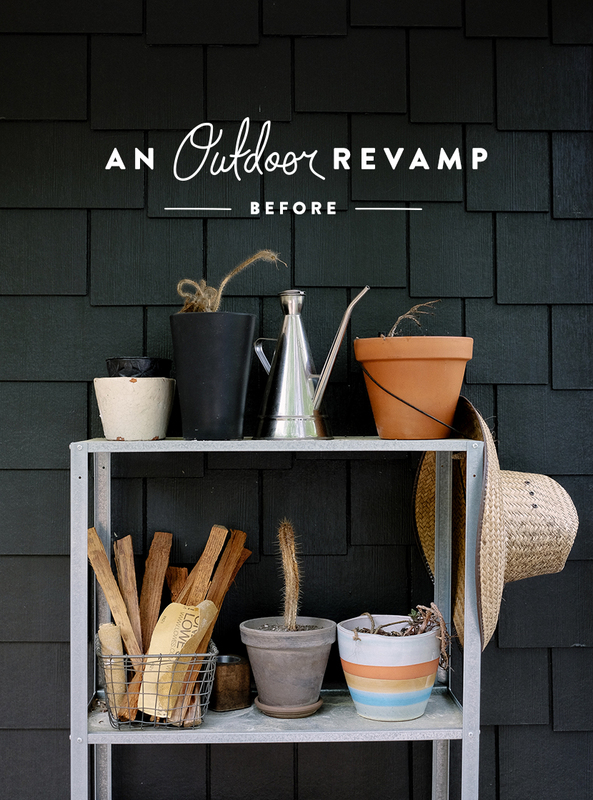 If you need more inspiration, check out the collaboration between At Home and HGTV. What a great space to work with, Megan! You can do a lot with it, and I love your inspiration for the space. Can’t wait to see the finished look! 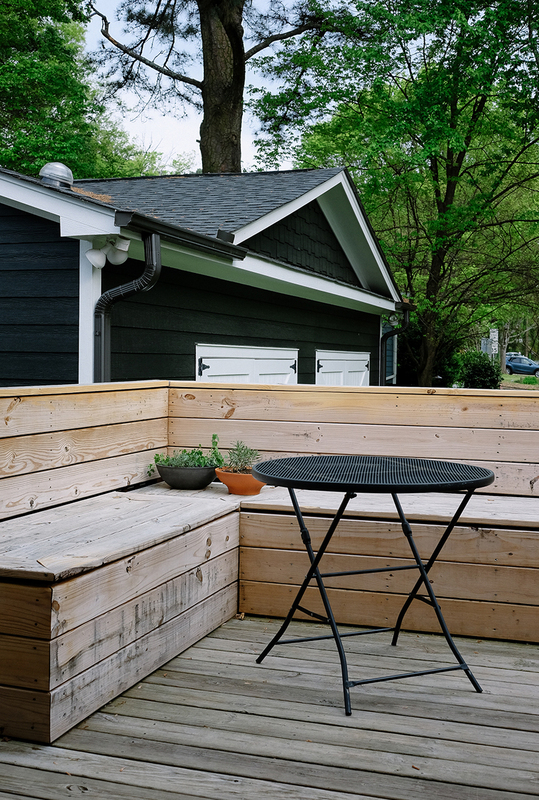 We just got a new deck, and I can’t wait to get it ready for the warmer months! your inspirationS are very similar to something I have been wanting to do for a while now. You really cannot go wrong when it’s a cosy little setup like this.